The following names have been submitted for nomination to the USACK Wildwater Committee for the 2010/2011 term. All votes must be submitted by email to Gerald Babao at gerald@usack.org no later than December 17, 2009. All voters must be USACK (WWC affiliate) Members in good standing. Choose no more than one nominee for each position. (Note: This as a GREAT opportunity to renew your USACK membership so you can vote in the election and have your insurance covered for next year. You can renew your USACK membership online via the USACK website at https://member.usack.org/ website or by contacting Gerald Babao at gerald@usack.org). Click here for a description of the nomination process and the job description for each position. All nomminees are encouraged to send their campaign information to the USAWildwater Webmaster. I will add their information to this web page when I receive it. I want to serve as Chairman of the Wildwater Committed of USACK in order to help continue to build on the progress that we have been making in the USA Wildwater program. Having served as Chairman from 2004-07 and in 2009, I am still very passionate about serving as Chair and working with our other WWC members for the betterment of our beloved sport of Wildwater. Serving as our chief "salesperson" in order to promote the sport and it's venues, and to help develop programs and sponsorship, and to keep things fun is always very fun for me. We have also found that in order to be successful, the position also requires operational/organization skills in order to ensure things like board meetings and minutes are kept, deadlines are met, and budgets are thoughtfully developed/implemented with an approval process for all expenditures. I am also very fortunate to serve with a diverse group of WWC members who are very accomplished in both athletics and their professional lives. As with any group like this we often have diverse ideas, strong opinions, and represent different areas of the country with different needs. My goal is forge the best solutions for our sport which often comes from harnessing new ideas while striking a balance and building a consensus without alienating anyone. Thank you for all of your help and support. Let's keep working together to continue our progress! I will not waste time by professing to be anything but a newcomer to this sport and one that has not raced wildwater at all, much less competed for our country in international competition. I will likewise not claim to have developed or be in the process of developing the next generation of future wildwater stars. Any allusions that I do have about being suitable for the "events and program" board position are based upon a history of being able to work as part of a team, in this case our wildwater board and in particularly of being in sync with our current board president. That body in my opinion has best served our sport by doing the things that have to be done to make our sport in the US be more fun, meaningful, and internationally competitive. It has been noted elsewhere that last year's National Championships was the "best ever", that the past two junior teams we have sent to the Jr. Worlds have carried themselves very well; and that the Colorado High School Cup race series (which had 20 young racers doing seven days of wildwater racing this past season with eight of those kids getting to race five more races in Europe ) is a junior development model that needs to become a sanctioned USAWildwater program to be looked at closely and adopted for other regions. I can assure everyone that those points of promise and potential pride for our national program reflect not so much any single person's vision or hard work as much as they begin to suggest what is truly possible when a group of people work positively and in a coordinated and effective manner. Some of you know me, some of you don't. 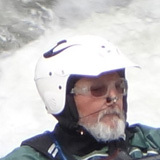 I've been paddling wildwater in some capacity since 1990, and have been in or around US Wildwater since 1996. Since then I've been on three World Cup teams, coached a junior Worlds team in Europe and been a major part of the organization of two Team Trials and one National championship. I've lost count of how many training camps I have organized or coached at but it is probably at least 20+ and I am very proud to have been a part of the development (even if I was holding it back with my childish sense of humor) of many young paddlers who have gone on to compete at the International Level. I have previously served on the USACK Wildwater Committee in the position that was the forerunner to Chuck Brabec's position for 2 years, and then as Vice Chair, and then Acting Chair in the early 2000's. At that point I had to step back to concentrate on my job for a number of years. In the past year I have returned to paddling wildwater a lot and feel that I can contribute at a national organizational level again. I believe strongly that a balanced committee with strong representation from all geographical areas of the US is essential for the healthy development of the sport in the US. Development of existing paddlers (as Tom mentions in his statement) and in particular retention of enthusiastic and talented junior paddlers who are leaving home to go to University. We need to find a way to retain the participation of these paddlers and I have some ideas about how to do it. This is the only way that the US will become more competitive at an International level, and the only way that the sport will survive when all of the old men on the committee retire! A more stringent selection criteria to ensure that our most talented paddlers can compete at an international level with the highest level of support we can provide. This also allows us to showcase our paddlers to potential sponsors with the best results possible, and I cannot say enough about the strong progress made by the previous 2 committees in obtaining sponsorship. At the recent World Cup Slovenia entered only two paddlers, but both of them ended up being World Cup Champions. While I don't advocate 2 person teams, funneling our resources to give the best chance of success seems the most logical approach. In my capacity as Program and Events Coordinator I will strive to ensure that the quality and media exposure of our national events continues to improve, both at the basic level of timing and safety through increased participation, sponsorship and media publications. Thanks for your support, and Best Wishes to Denny in the election too! I was elected to this position in late 2007 and I agreed to be nominated to serve in the same position for 2010/2011. In addition, I have been the Webmaster and Newsletter (e-Zine) Editor since the summer of 2004. I will continue to be an active member of the USACK Wildwater Committee. I will also be as responsive as possible to requests for updates to our website. I will produce and distribute our newsletter (e-zine) in a timely fashion and will update the rankings file for the current year as often as I receive (or can find) the results of all wildwater races. I have been the Western Athlete Representative on the wildwater committee since 2002. In that time, I have tried to bring the views of the wildwater racers west of the Mississippi to the wildwater committee. I believe that wildwater in the United States will benefit most by funding development first. Training camps for those new to wildwater are essential, but we also need to hold small elite camps for those with more experience. I have argued for tighter team qualification requirements and tighter percentages to qualify for performance funding, and I will continue to do so. The U.S. Wildwater Team can only improve if the athletes are held to higher standards. Having benefited personally from the expertise and wisdom of many of Wildwater�s more experienced racers, I would like now to do what I can to contribute to the sport of Wildwater by helping to support it�s existing athletes in their pursuits, as well as to help make the sport itself more accessible to the kayaking community as a whole. My name is Peter Lutter and I am a 16 year old from Bethesda Maryland. I have been on the US junior team for the past three years and have been Junior National Champ for three years, and have secured a spot on the podium for Senior Nationals since 2007. I placed 9th in the sprint of the 2009 Wildwater Junior Worlds in Switzerland. I would like to serve as the athlete representative for the Eastern U.S. to help grow a sport that has offered me so much. As your athlete representative I will be dedicated to improving opportunities for both budding racers and committed athletes to train and race. I will work hard to ensure that clear rules to qualify for the US team are announced well before Team Trials. As an athlete, I understand that better funding is one of the biggest ways to grow our sport and so I will work towards more funding and also make sure that rules for funding are clear to all US athletes before they have to make travel arrangements. As a beneficiary of many mid-Atlantic races and training camps, I understand that regional races provide important opportunities for athletes to learn new rivers and hone their paddling skills while contributing to camaraderie in the broader racing community. Thanks for your time and support, and best of luck to JP Bevilaqua and the rest of the nominees.